Wireless and interference-free transmission via Bluetooth Smart (LE) technology ! Determines exact data about current, average, and maximum cadence while cycling. 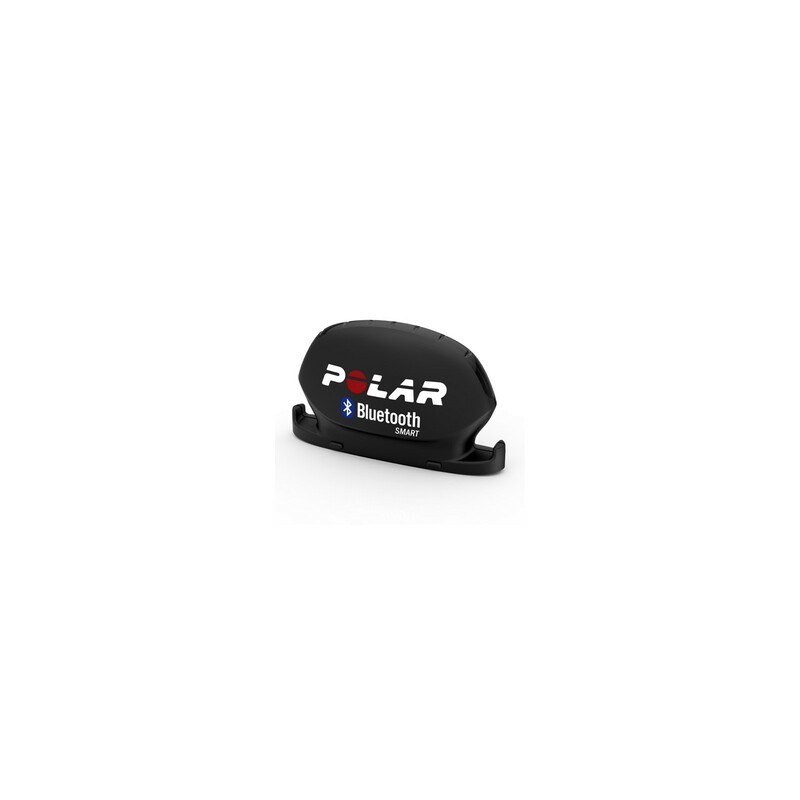 Only suitable for Polar bike and training computer or Smartphones with Bluetooth Smart (LE) technology ! Compatible from ab iPhone 4S and with Bluetooth-smart compatible Android devices. Via Bluetooth Smart important training data about speed and cadence are connected with a compatible training device directly after the connection. The sensors for measuring speed and cadence, i.e., are also suitable for the Polar GPS multi-sport watch V800 also working with Bluetooth Smart. Leichte Montage und Koppelung mit dem V650. Die Sensoren werden sofort gefunden und sind absolut stabil in der der Verbinung. Die internen (nicht auswechselbaren) Batterien halten ewig. Ich habe einen zweiten Geschwindigkeitssensor bereits seit über 4 Jahren im Einsatz. Absolut empfehlenswert. Schnelle Montage. Einfaches einlernen am V650. Kleines Manko, Batterien sind nicht wechselbar.